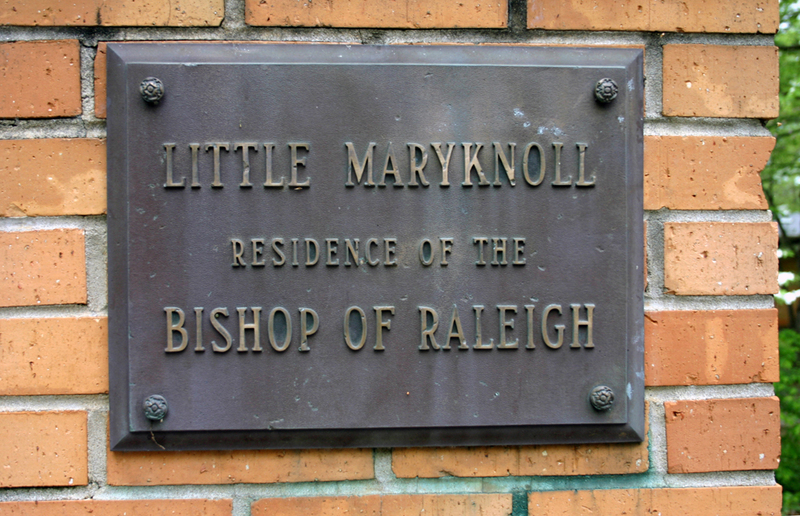 Within days of the destruction of the exquisitely designed modernist Paschal house last month, the Diocese of Raleigh announced that the former residence of the Bishop of Raleigh on Bilyeu St., known familiarly as “Little Maryknoll,” would soon meet the same fate. 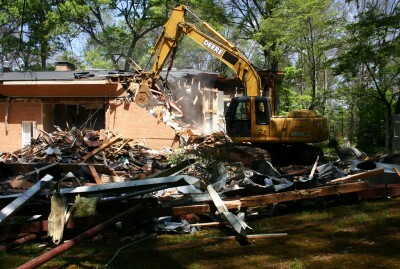 Sadly, demolition began Wednesday. This photo of the modernist bishop’s residence was taken about a week before demolition. 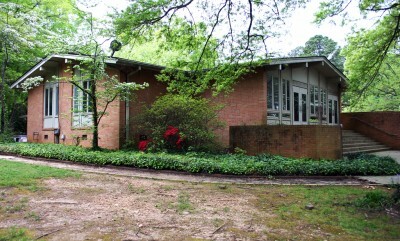 The residence was designed in 1963 by Durham architect John Donald Latimer (1916-1996) for the third bishop of Raleigh, the Most Reverend Vincent Waters. It was he who named it “Little Maryknoll” in memory of Rev. Thomas Frederick Price, who, in 1899, had purchased the 100+ acres in the Nazareth community just west of Dix Hill for the establishment of a Catholic Orphanage. Fr. Price founded the Maryknoll Missionary Order in 1916. This bronze plaque graced the front gates at the entrance to Little Maryknoll. Latimer began his practice in Durham in 1953 and designed more than a dozen modernist homes in the Triangle area during his 20-year career. He sited the bishop’s 6,500-square foot residence in a secluded and gently sloping 2-acre wooded lot on the eastern edge of the orphanage property adjacent to the Pullen Park Terrace neighborhood. The house was constructed of orange brick- faced concrete block and painted wood with steel reinforcement. 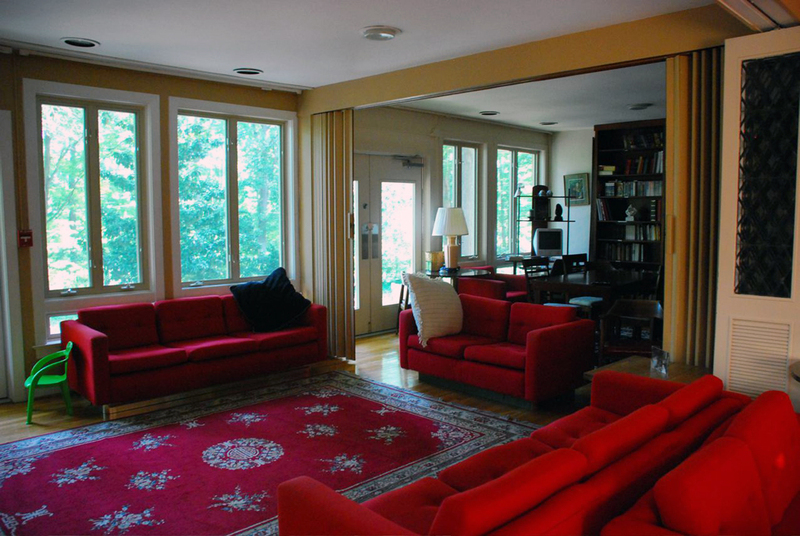 Paired window groupings accented the modified split-level layout. A two-story central residential wing dominated the center of the dwelling. An intersecting wing opened onto a natural garden area and stone patio. The low-pitched roof was embellished with decorative beams which accentuated its wide eaves. An attached one-story pavilion housed a large audience hall. This view shows the garden wing of the bishop’s residence. Behind the recessed front entryway, a wide foyer opened onto the audience hall to the right, and to the left a short, broad flight of stairs directed the visitor up to the main living area. 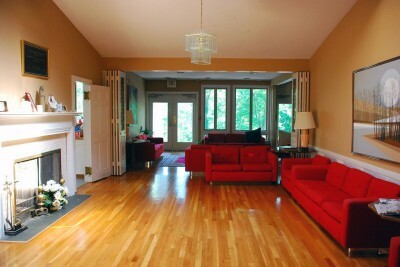 Interior amenities included hardwood floors and overhead skylights, which brought sunlight into the interior rooms. The vast interior living space could be partitioned off by closing folding, glazed panel doors. The house also featured two additional, albeit unusual, amenities — a private chapel for the bishop, and an underground bomb shelter in the basement. 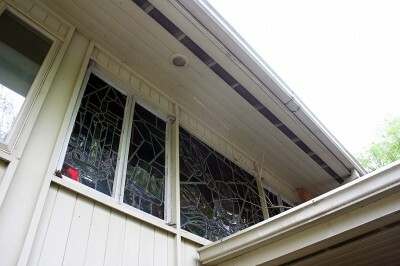 Seen below are the five stained glass panels of modernist design which illuminated the private chapel located on the main floor of the residence. After 29 years in service to the Diocese of Raleigh, Bishop Vincent Waters died in his sleep at Little Maryknoll on Dec. 3, 1974. Bishop Waters’ successor, the Most Reverend Joseph Gossman, arrived in Raleigh in 1975. He occupied Little Maryknoll for only a year, and then transferred the residence to Nazareth Orphanage. For the next 20 years, the house served various functions, including a home for unwed mothers; a Girl Scout troop; and a Knights of Columbus council who used the space for meetings and retreats. 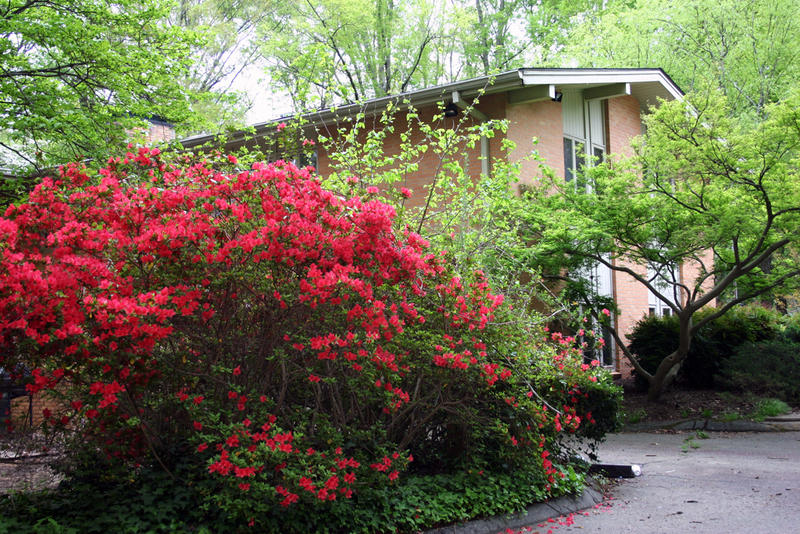 In the late 1990s the property was re-purposed as the Doggett Center for Catholic Campus Ministry at NC State University. The center was named in honor of the Doggett family for their longtime support of the Diocese and its community projects. 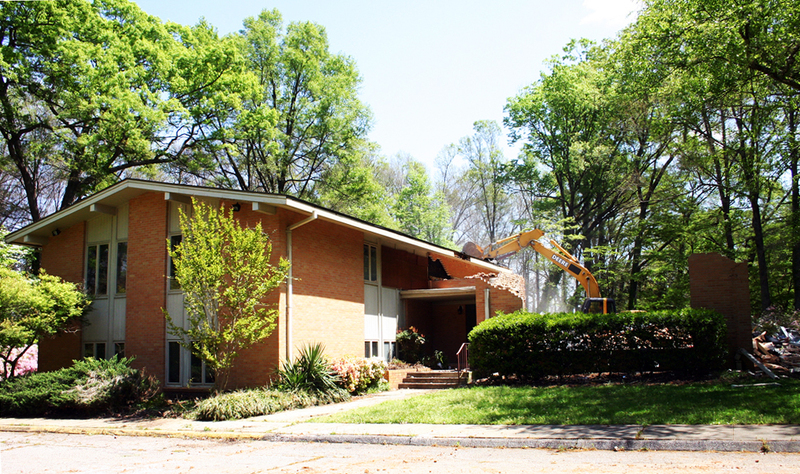 Last May the Doggett Center moved to an on-campus location in order to be closer to the center of student activity. About that same time a building inspection revealed some minor structural deterioration, and that the house was in dire need of renovation. For the next year Little Maryknoll remained essentially vacant. 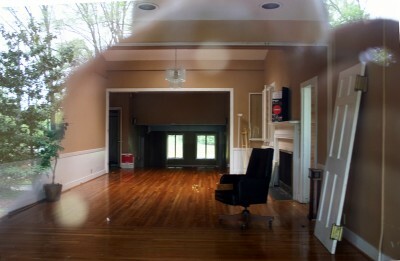 Looking through a locked door of an empty Little Maryknoll. 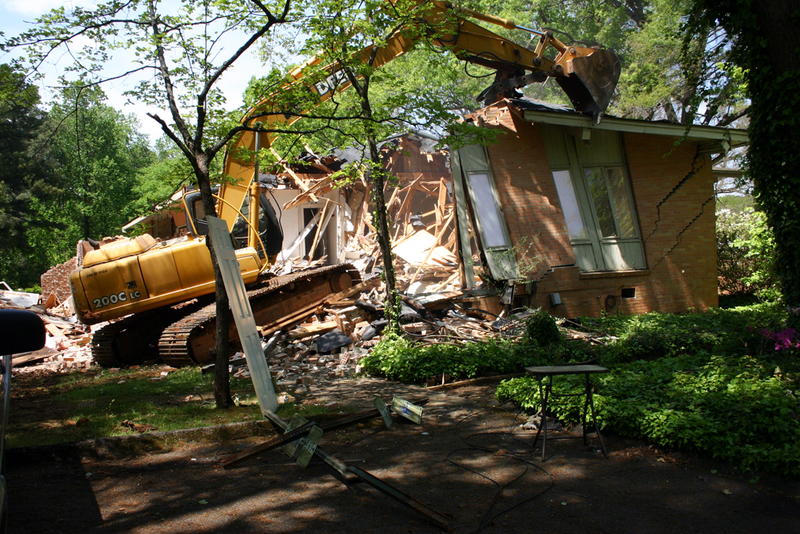 Unfortunately, the Diocese of Raleigh opted to demolish the 50-year old landmark rather than investing in preserving it, or adapting it for repurpose. The only artifacts salvaged from the house were the beautiful stained glass panels which once graced the bishop’s chapel. Everything else was destroyed. Having finished with the audience hall pavilion, the muncher moves on to the rear of the structure. In these photos a few of the steel beams used in the construction of the pavilion can be seen lying on the ground. These photos show the wrecking of the back of the house by the muncher. 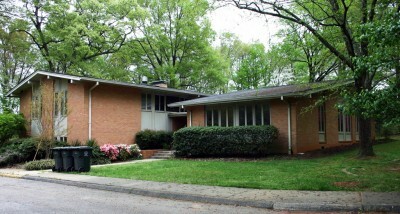 Sadly, Raleigh has lost too many of its modernist structures, both residential and commercial, in recent years. 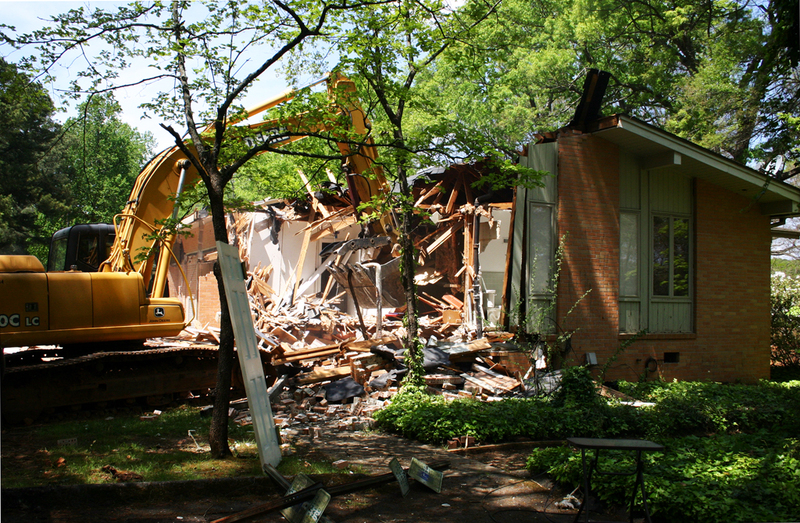 A short list includes the Eduardo Catalano house , renowned for its iconic hyperbolic paraboloid roof (demolished 2001); the former First Federal Bank downtown (demolished 2009); a pair of modernist office buildings in Cameron Village — 410 Oberlin Rd. (demolished 2011) and its across the street neighbor, 401 Oberlin Rd. (demolished 2012); the Paschal house, demolished last month; and Little Maryknoll, demolished this week. All are now gone, but not forgotten. Author’s note: For more information on the Triangle area’s modernist heritage, visit our friends at Triangle Modernist Houses where you will find a comprehensive catalog of Raleigh’s modernist structures, both standing and lost. At a bare minimum the house could have be de-constructed piror to demolition by Habitat for Humanity. The building materials then re-used to build affordable houseing. Given the legacy of this beautiful home it would have aleast reduced the blow. Now a landfill gets it!! Sad and a waste! I couldn’t agree more, Patty! We sweat the small stuff — our bottles and cans to reycle and reuse. There was much at the Doggett Center that could have be reused and recycled. There were so many other options than hasty and wasteful destruction. 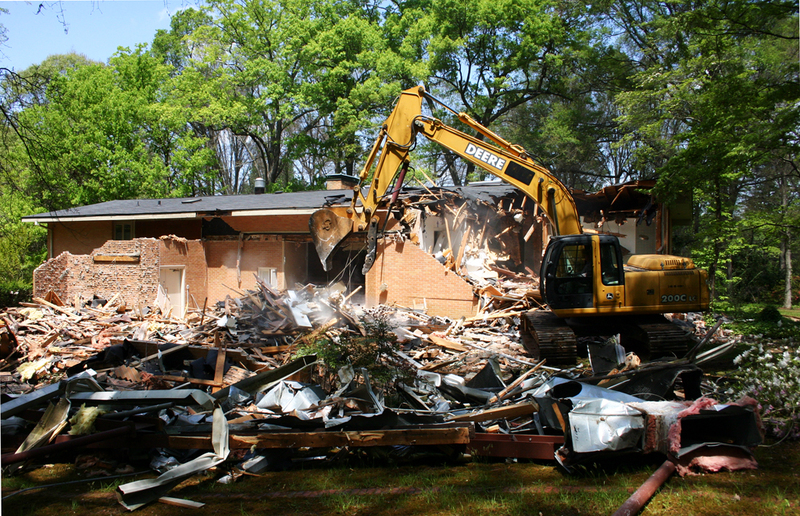 Materials could have benefitted many charities like Habitat for Humanity. This reflects poorly on the Diocese. Lived across the street from this house for many many years- hate to see it go. They were quiet neighbors for sure….except when they started their anti-death penalty marches from there at night with their drums and chanting, but that wasn’t very often. My heart and stomach simply feel sick seeing that muncher destroying not only a house but all the years of adult and student activity which took place there. Even knowing that the community will carry on elsewhere does nothing to soften the blow. Well, this will be part of the campus of the new Raleigh Cathedral which IMO will be a far far greater architectural asset to Raleigh. Recycle all the wood? Come on. The stuff grows on trees. I remember it well from the 70’s and I am sad to see it go. But it does look to me like a large house resembling a 1960’s suburban Catholic church. The interior pictures look really nice but of course I was never inside of it. 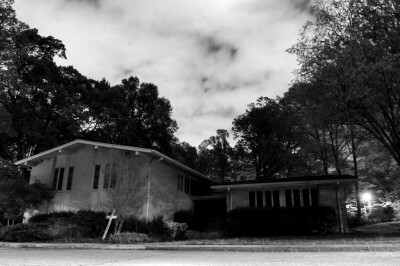 The old Catholic orphanage located nearby was still standing back in 1971 when I moved to Raleigh. A spokesman for the Diocese of Raleigh has told me that the bronze plaque which once graced the entrance to the Little Maryknoll estate was salvaged during demolition. It will be displayed at the relocated NCSU Catholic Campus Ministry Center, once a permanent home for the center has been found. The stained glass panels from the bishop’s chapel were also salvaged and were placed in an off-site storage unit. According to the Diocesan spokesman, the panels are in poor condition and currently there are no plans for restoration. He did say that they may eventually be displayed at the Catholic Campus Ministry Center. Want to disagree with one thing said in the article. It is NOT unusual for a bishop’s residence to have a private chapel, nor is it unusual for a home of this period to have a bomb shelter. Many did, as did church building. Wow. Just now finding out about this, after having driven by the location for the first time in years this week. So sad! I was a friend of the late Fr. Al Dash, who served there in the late 90s and ’00s. Fr. Al was a friend to all of us Greyhound owners, and held a Blessing of the Animals every year on the grounds. Thank you, thank you for sharing this page, so that we know what happened and can cherish our memories.